In this English lesson you will learn some of the main words and expressions we use in English to talk about problems and difficulties. A snag is a problem that you might have with a project. It means there has been a setback for the completion time of the project. For everything to work smoothly you have to overcome many hurdles and obstacles that might get in your way. Sometimes you don't see the potential pitfalls and your project hits a stumbling block. Hardships and adversities are things that we all have to overcome at some stage in our lives. You might lose you job or have an accident that stops you from leading a normal life. Maybe you were born in a country with little opportunity and your day-to-day life is an ordeal. That same project that I mentioned earlier may have had teething problems when it first started. You may be in over your head financially. It might be an uphill battle to stay afloat. Hopefully you won't be in a fix for too long and you start to see some green shoots. If all does go badly and you find yourself up a creek without a paddle, don't worry. Everything will work its way out. You will find your way out of the woods. Watch the video for even more words to talk about problems and difficulties in English. Here's another vocabulary lesson for you to look at. 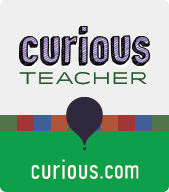 I also have some English courses on curious.com. Please take a look.